In 1928, Antonio Nores Martinez, a medical doctor, professor and surgeon, set out to breed a big game hunting dog that was also capable of being a loyal pet and guard dog. Antonio Martinez picked the Cordoba Fighting Dog to be the base for the breed. This breed is extinct today, but it was said that as a large and ferocious dog, it was a great hunter. Martinez crossed it with the Great Dane, Boxer, Spanish Mastiff, Old English Bulldog, Bull Terrier, Great Pyrenees, Pointer, Irish Wolfhound and Dogue de Bordeaux. Nores Martinez continued to develop the breed via selective breeding to introduce the desired traits. Today, Dogos are active in many activities beyond hunting. They have worked as military and police dogs, guide dogs, therapy dogs, and search and rescue dogs and have participated in obedience, schutzhund, and tracking events. 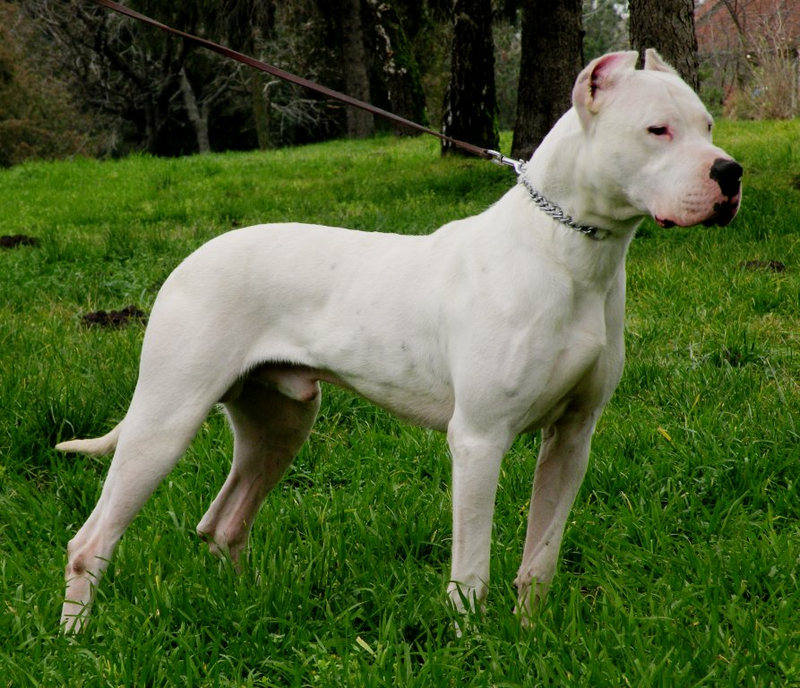 The Dogo Argentino Club of America was founded in 1985. The breed is currently a member of the American Kennel Club's Miscellaneous Class, the final step before full AKC recognition.